6 Ingredients, 5 Minutes of prep time, and 4 Weight Watchers Points. Yup. Weeknight meals don’t get much better than this. When I went to the grocery store, the only ingredient I had to buy was the pork chops. The other 5 are things that I already have in my pantry (and you probably do too). Dishes like this make it super easy to stay in a budget. 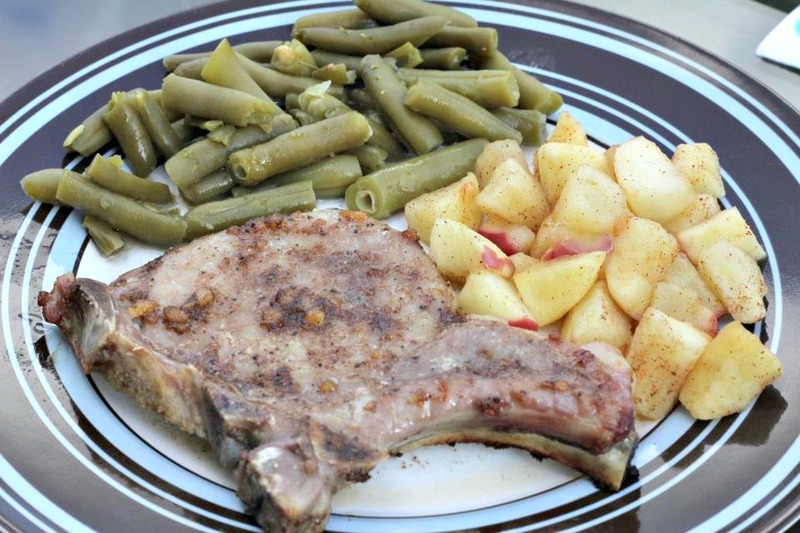 Once you get those “staples” that you always keep in your pantry, you can make these pork chops (and meals like them) by only spending a couple bucks on the meat! Not including the sides, that’s about $7 for 4 delicious pork chops. Beat that, Outback Steakhouse! And they were SUPER easy to prepare. Seriously…there’s pretty much only one step you have to do and then the oven does the rest. I honestly thought that an entree this simple would probably come out a little bland or dry or SOMETHING. But no, they were perfect. Tender, juicy, and just the right amount of seasoning. And plus…only 4 Weight Watchers Points. That’s like nothin’! You can even treat yourself to a decadent dessert like Chocolate Bundles with Ganache! Preheat oven to 400. Combine seasonings and olive oil. Rub all over pork chops. Place chops in a sprayed baking dish. Bake, covered for 20 – 30 minutes or until done.